Sometimes I find a pattern on sale that I can't resist. 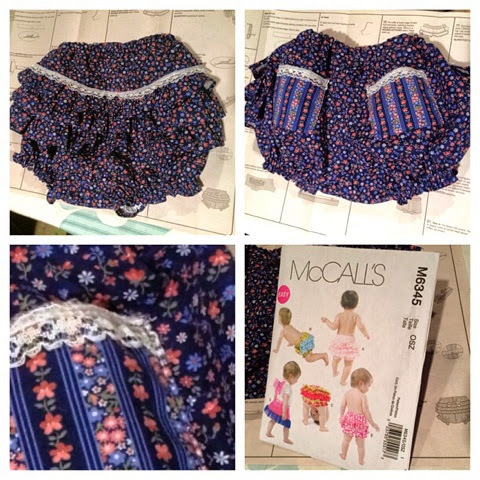 I mean, look at this adorable ruffled diaper cover! Little Lolo needs this. I used some fabric and lace remnants I inherited from my grandmother's stash and put this together while Lolo was napping. In all I think this took about foir hours at a very leisurely pace. I added my own trim and front pockets but otherwise stuck to the pattern (view A).